Team Astana has already matched its 2017 win tally in less than three months of racing, finding its groove with young talents and now-healthy veterans. 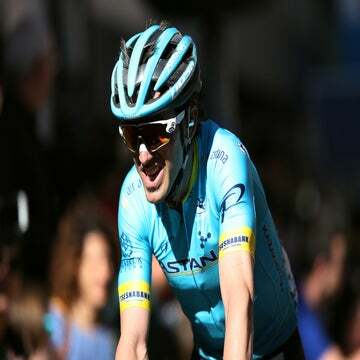 The hits keep coming for Astana, which is emerging as one of the most dominant teams so far in 2019. Sunday served as an exclamation point on what’s been the team’s best debut in franchise history. 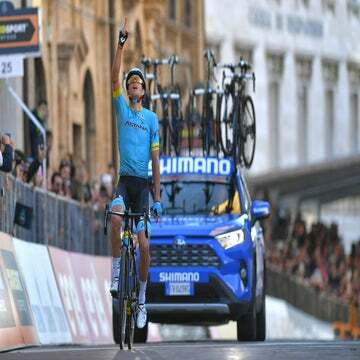 Literally within minutes of each other, Ion Izagirre won the final day thriller at Paris-Nice in France while Jakob Fuglsang scored an emotional victory dedicated to deceased teammate Michele Scarponi at Tirreno-Adriatico in Italy. Rack it up as 19 victories with nine different riders in the opening months of the 2019 season, giving Astana a lead on wins-to-date among the WorldTour league. That haul also includes 11 second-places and 11 third-places, meaning that if Astana isn’t winning, the team is very close in scores of other races. What’s going on? As Fulgsang mentioned, the team was struggling to score wins just two years ago. Flash forward to 2019, and Astana is at the front of every race. Any winning streak or dominance invariably raises doubts, perhaps even more so in light of recent doping raids in Germany in Austria and Astana’s sometimes dubious past. So far, no one is raising any red flags. A few strategic signings and an investment in youth seem to be paying off. Coming into 2019, the team shed 11 riders, including breakout winner Michael Valgren (Dimension Data), and signed nine new riders. Top among the new signees were the Izagirre brothers. The team hunkered down over the winter to regroup and has come into 2019 guns-a-blazing. Veterans like Fulgsang and Luis León Sánchez, who won the Vuelta a Murcia in February, are both healthy and intent on proving their worth in contract seasons. New signing Ion Izagirre, who moved across to Astana on a two-year deal along with his brother Gorka, is hitting his stride early. A winner at the Volta a Valenciana, Ion was second behind teammate Fulgsang at the Ruta del Sol, and blasted to victory Sunday at Paris-Nice. Magnus Cort, who joined Astana last year with four wins, also scored a breakaway win at Paris-Nice to keep the Astana ball rolling. While the team will be missing Valgren this spring, Astana’s patience with some of its younger riders is also paying dividends. Alexey Lutsenko, 26, a stalwart since 2013, is on a tear this spring. He won three stages and the overall at the Tour of Oman, and a stage last week at Tirreno. Miguel Angel López, 25, who joined in 2015, took a big win on home roads at the Tour Colombia 2.1, and looks prepared for bigger things this season. Deceuninck-Quick-Step is on a roll in the one-day classics and in the sprints with Elia Viviani, already winning 17 races this season going into Monday’s stage 6 at Tirreno. Team Sky and Mitchelton-Scott have also hit some early season markers, but it’s been Astana that’s been consistently ripping across the opening months of this season. What does the rest of the season look like? López and Izagirre will co-lead at the Giro while Fuglsang will test his mettle at the Tour. The team will be missing Valgren in the northern classics, but it should go well in the Ardennes. As Fuglsang said, the team is waiting to see if they’ve come out of the gate too hot. Will they run out of gas before the season ends? Right now, no one seems to be worrying about that.